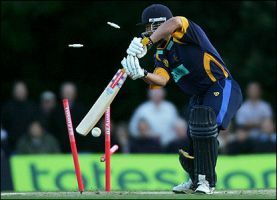 Are you a cricketer now finding it increasingly hard to chase balls to the boundary? The good news is that croquet balls stand still while you are trying to hit them! A bit too fast for you? The bad news (for ALL cricketers) is that you have to be ACCURATE! Proper hoops are tight, barely wider than the ball, you need to be good at hitting distant balls, and you need to be a good judge of length as well as line too. The club has several former cricketers amongst its members. 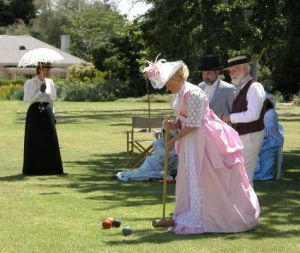 They have taken to croquet quickly as it involves some of the same skills and has the same summer season as cricket, and it allows them to get out in the fresh air and continue to enjoy a competitive sport without being too strenuous. There are many competitions available for both individuals and teams: club and national tournaments, inter-club leagues, regional and national inter-county tournaments, open championships and world championships. And both national and world rankings for the top players. Click on the links to see some examples. days he is a county-level croquet player. 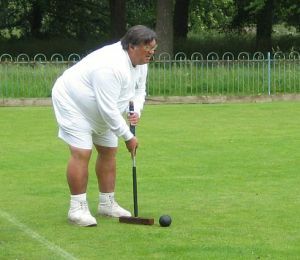 It comes as a surprise to many when they realise the depth of tactical complexity in croquet. As in chess, in a good croquet break you should plan several shots (moves) ahead so that the balls (pieces) are in the right place at the right time. But unlike chess, and more like cricket or snooker, you can't guarantee that a single shot will go exactly where you want it to go. So every choice of shot requires a judgement about the balance of risks: what is the potential upside if you succeed vs. how much would you lose if you fail? Tricky! The combination of physical ball skills, judgement of risks and tactics is what makes croquet such an intriguing game, and why it often appeals to cricketers used to the need for both skill and thought. W.G. Grace used to play croquet too! But not everyone is an expert. 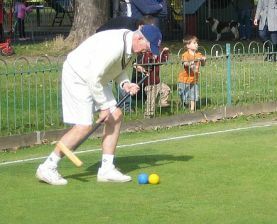 Croquet can also be enjoyed by novices, and as in cricket there is huge scope for improvement. There is a very effective handicapping system, quite like golf, which really does level the game across all standards of play, such that even a high handicapper stands a decent chance in handicap play against a top player. This is not just hypothetically either! The 5-times world champion sometimes plays in handicap tournaments not far from here against anyone who turns up. you can play for free in up to three of them before being asked to join the club.